Okay guys, I’m so excited to share my new favorite breakfast with you. I was never a fan of overnight oats or oatmeal, but I have a special place in my heart for rice. 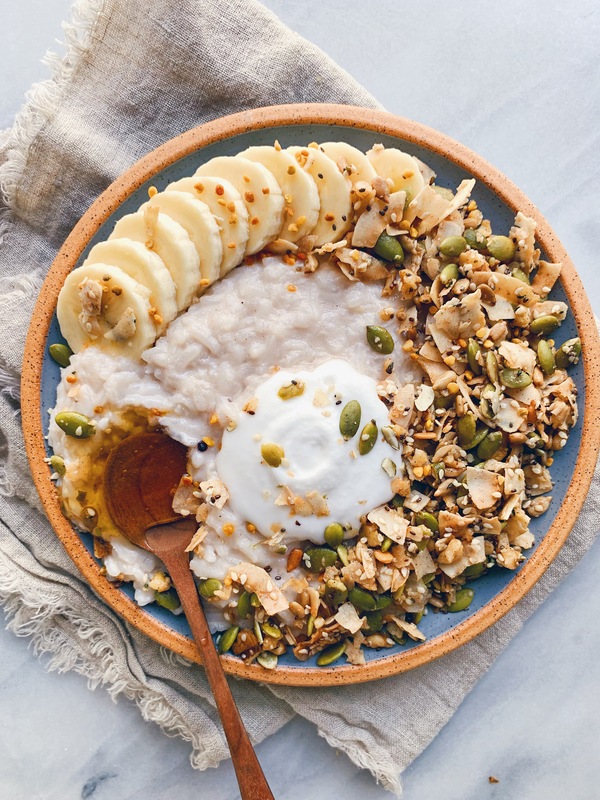 So I wanted to create a warm, nourishing breakfast rice bowl that works with a variety of toppings. 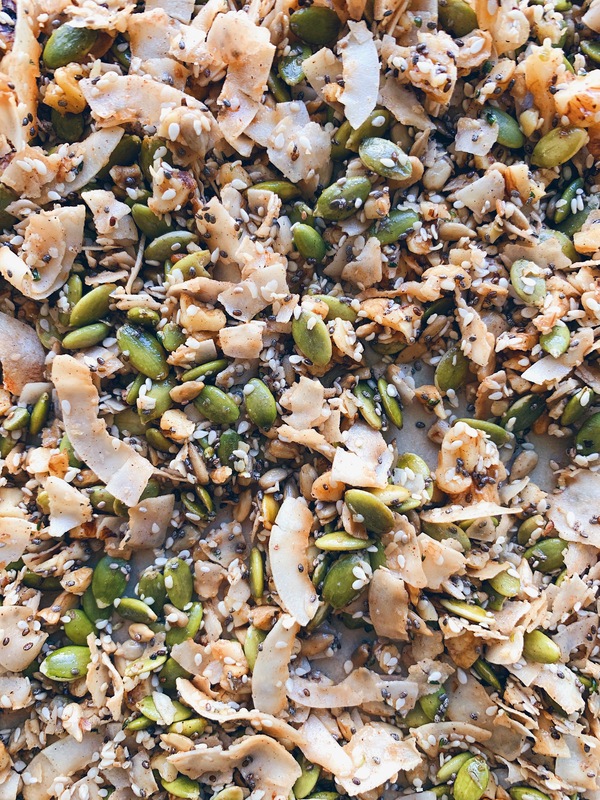 And speaking of toppings, this grain-free granola recipe is my go-to. It’s lightly sweetened and perfectly crunchy. 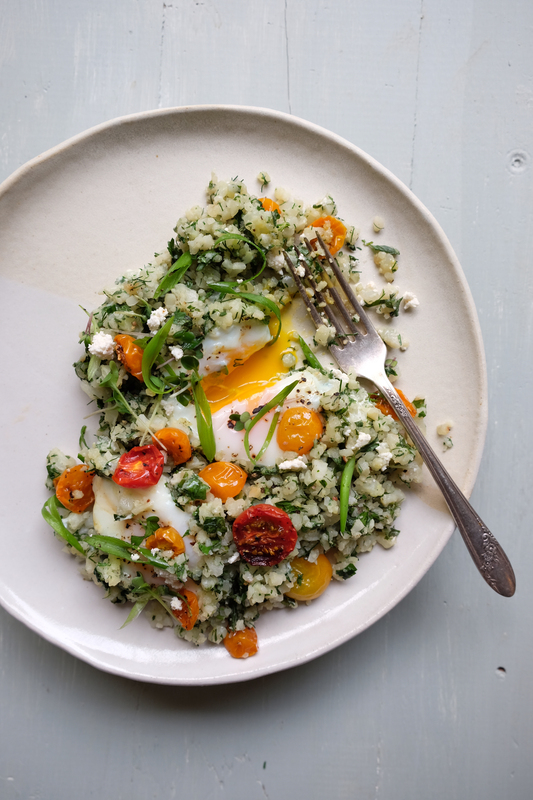 You can combine these two recipes for the ultimate breakfast bowl, or you can make and serve them separately. I like to this this is the sweet counterpart to the savory congee recipe I shared with you recently. Both recipes make fairly decent-sized batches, so I like to make them on Sunday to eat through the week. 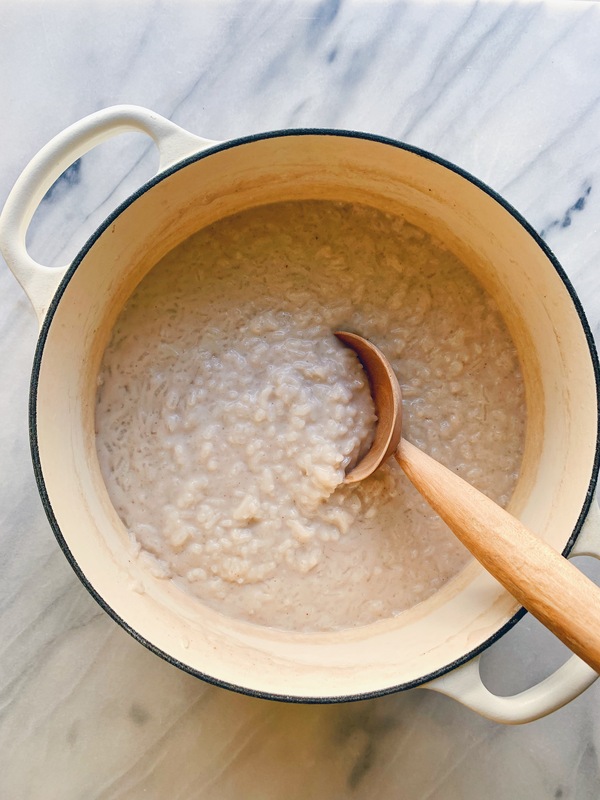 The rice porridge can easily be reheated in a saucepan on the stovetop. Feel free to add a splash of extra coconut milk when reheating if you want it a bit more runny. I topped this bowl with the granola, half of a banana, a dollop of Coconut Cult, bee pollen and some raw wildflower honey. If you’re not into walnuts, you can sub any other nut in the granola. If you prefer the granola to be nut-free, you can leave out the walnuts all together. Granola can be stored in airtight container(s) in your pantry for a week or so. If you want to change the flavor profile a bit, you could add in more cinnamon, a 1/2 teaspoon of cardamom or any other spices of your choosing (nutmeg, turmeric, cloves, etc.). Eat it by the handful, serve with your favorite milk or top a porridge, smoothie or yogurt bowl. Enjoy! 1.) Rinse rice in mesh sieve under cold water for several minutes until water runs clear. 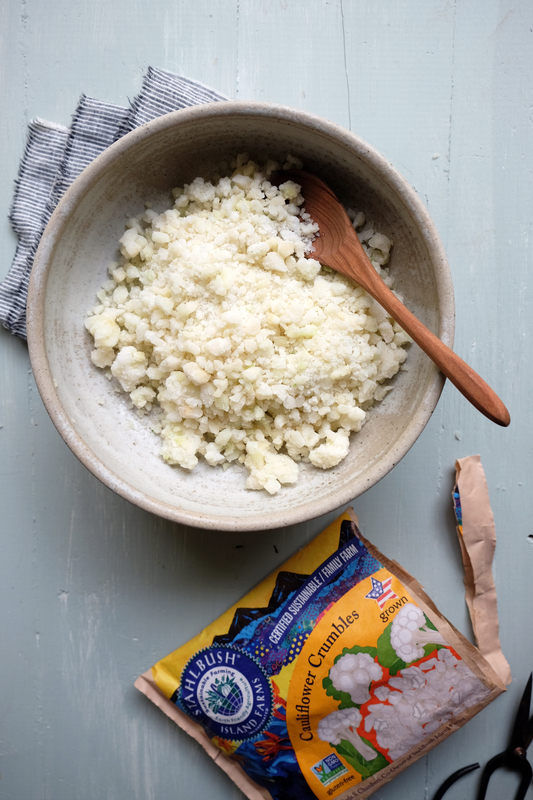 Add rinsed rice, coconut milk, water, vanilla, lucuma and sea salt to a medium saucepan. Whisk together all ingredients until smooth and well combined. 2.) Over medium heat, bring the mixture to a low, rolling boil, making sure to stir frequently as to not burn the milk or rice. Once boiling, reduce to medium-low and allow to simmer uncovered for 20-25 minutes. Stir frequently with a rubber spatula or wooden spoon. At the last 5 minutes of cooking, gently stir in the maple syrup. 1.) Preheat oven to 300°F. Chop walnuts into small, uniform size pieces. Add to large mixing bowl with all other seeds. 2.) In a small mixing bowl, whisk together the maple syrup, vanilla, sea salt and cinnamon. Pour evenly over nut and seed mix and gently toss to coat. Lastly, pour melted coconut oil over granola mixture and gently toss to coat. 3.) Spread granola in a thin, even layer over two parchment-lined baking sheets. 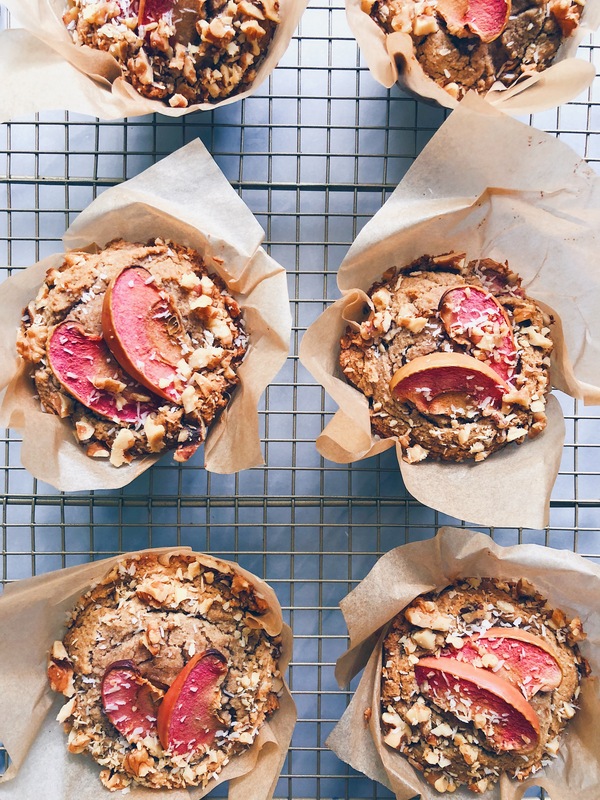 Bake in preheated over for about 25 minutes or until granola is golden, stirring once halfway through baking time. Allow to cool completely before transferring to airtight containers for storing. 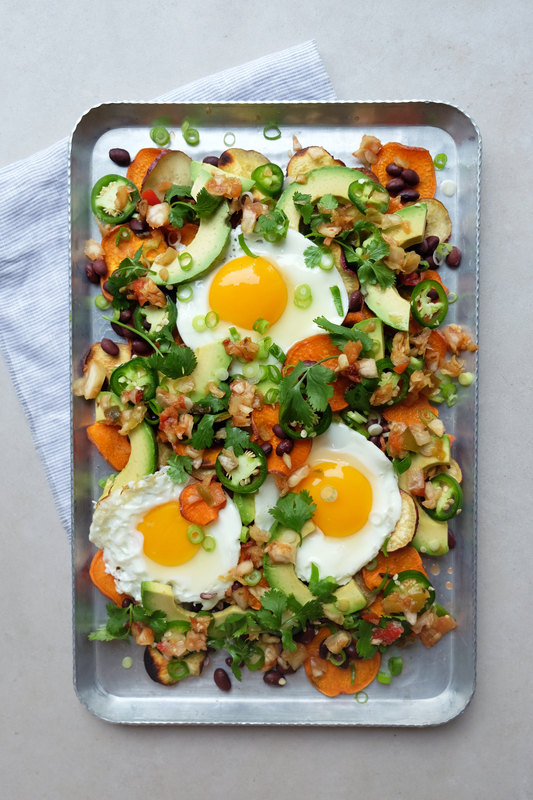 These Paleo Breakfast Nachos are definitely my new favorite dish to make for brunch. They’re relatively easy to make and are extremely satisfying. The key for success with this recipe is using a mandolin to uniformly and thinly slice the sweet potato chips. I have this mandolin, and I can’t say enough good things about it. I use it for slicing veggies multiple times a day. Just be careful of your fingers! The other key for success here is making sure the chips are spread out over the baking sheet without any overlapping. You will most likely need 2-3 baking sheets to make this happen. This will allow them to get nice and crispy. These are dairy-free, cheeseless nachos, which may seem like an oxymoron, but the gooey eggs take the place of any cheese, and I seriously didn’t even notice or care that there was no cheese or cheeze involved. 1.) Preheat oven to 425° Slice the sweet potatoes 1/8” thin using a mandolin. In a large mixing bowl, toss to coat with the avocado oil and salt. 2.) Spread sweet potato slices on 2-3 rimmed baking sheets making sure that none of the slices are overlapping. Bake in the oven for 10-15 minutes, flipping once halfway through. 3.) Meanwhile, prep the veggies and cook the eggs. To make a sunny side up egg: oil a small cast iron pan and heat over medium. Once the pan is hot, turn down the temperature. Crack the egg into the pan and allow to fry for about 3-5 minutes or until the egg white is mostly set. To finish the egg, cover pan with lid, turn off heat and allow to sit for another 1-3 minutes. 4.) Once the sweet potatoes are finished, remove from oven and pile onto one baking sheet. Cover with black beans and avocado slices. Carefully slide each of the eggs on top of the chips. Top with jalapeño, scallions, cilantro and your favorite salsa. Enjoy! 1.) Add Strawberry Almond juice, coconut butter, frozen strawberries, maca and astragalus to high-speed blender. Blend for about 45 seconds until well combined. 2.) Pour contents of the blender into an airtight container or bowl with sealable lid. Whisk in chia seeds for 2-3 minutes. Cover and refrigerate overnight, or for at least 2-3 hours. Original recipe created for Pressed Juicery. You guys! The First Mess Cookbook is so amazing! 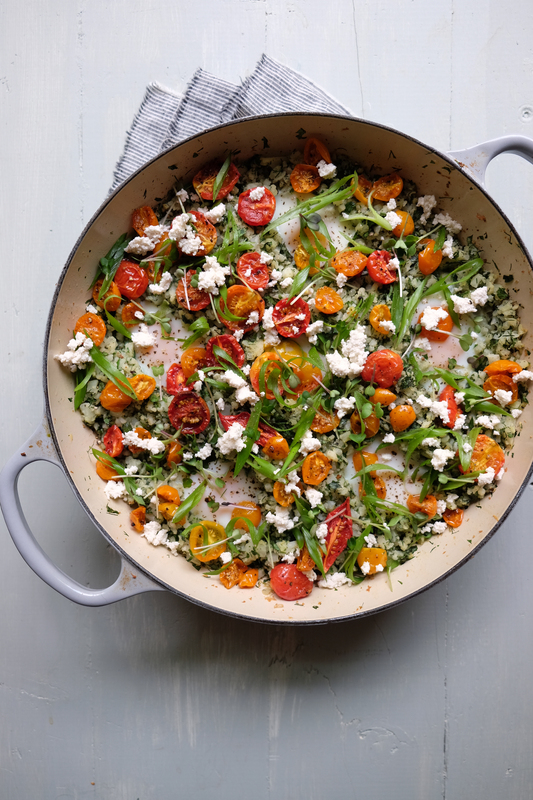 I really can’t tell you how excited I am to share this recipe from Laura’s new book with you. 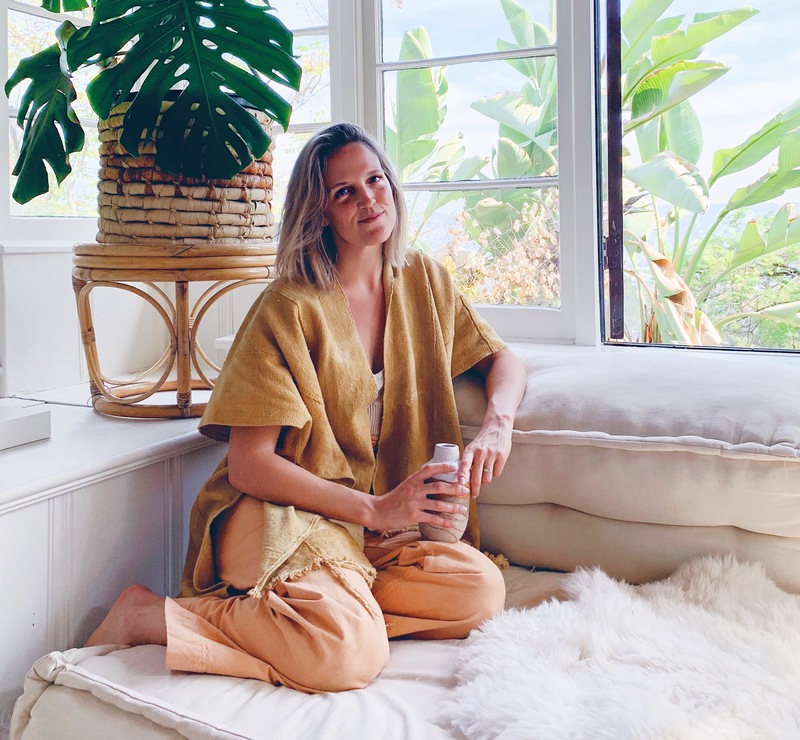 If you aren’t already familiar with Laura’s blog, The First Mess, head over there and get acquainted. Her new book is available for pre-order here in the US and will be released on March 7th. I mean, just look at that gorgeous cover. Seriously stunning. This hash is perfect for weekend brunch. I love the vibrant color the beets lend to the potatoes when they’re cooked together. And fresh dill has to be one of my favorite herbs. I served this hash with sunny-side-up eggs on the side. It would also be delicious with the eggs baked right in. If you want to try that: after following the recipe below, remove hash from heat. Make 3-5 holes (depending on how many eggs you want to make) in the hash for the eggs to sit. Crack one egg into each hole. Bake in a preheated 350° oven for about 7 minutes. Remove from the oven and allow eggs to set for 2-3 minutes before serving. 1.) Place the chopped potatoes and beets into a large saucepan or braised-style pot. Cover the vegetables with cold water by 1 inch. Add the apple cider vinegar. Bring to a boil over medium-high heat. Lower the heat to a simmer and cook until the potatoes are tender and the beets are just tender, about 20 minutes. Drain the vegetables and set aside. 2.) Heat the olive oil in a large skillet over medium heat. Add the onions and cook until lightly soft, about 3-5 minutes. Add the coriander, salt and pepper and stir until fragrant, about 30 seconds. 3.) Add the drained potatoes and beets to the skillet and spread them out in a single layer. Let sit for 5 minutes before stirring. Flip and stir the hash every 5 minutes. Cook the hash for 20 minutes, or until the edges of the potatoes begin to crisp. 4.) Lightly toss the hash with the green onions and dill. Serve the hash hot with chopped avocado on top. A few weekends ago, a small group of Portland-based bloggers, myself included, gathered on Sauvie Island just outside of the city for a holiday brunch sponsored by Bob’s Red Mill and Tillamook. With so much connection happening via social media, it was so refreshing and inspiring to meet up face-to-face with a group of talented ladies and engage in meaningful conversation over delicious food. We each made a dish to bring to the brunch, and today we’re all finally sharing the recipes we created. Below you will find my recipe for Cranberry-Ginger-Lime Chia Parfaits. Here is the rest of the menu from our Portland Holiday Brunch with links to the delicious recipes. 1.) In a medium-sized bowl, whisk together the chia seeds, nut mylk, shredded coconut and vanilla extract until well combined with no lumps. Let stand 3-5 minutes. Mix again before placing in the refrigerator covered for 30-45 minutes or overnight. 2.) Stir together water, yacón syrup, lime peel, and lime juice in a heavy, medium saucepan. Bring to boiling, reduce heat and simmer for 3 minutes. 3.) Add cranberries and ginger and continue to simmer for 10-12 minutes or until berries have popped and mixture starts to thicken, stirring occasionally. Remove from heat and allow mixture to cool completely. 4.) To make parfaits, using a spoon layer chia seed pudding and cranberry sauce in small glasses. 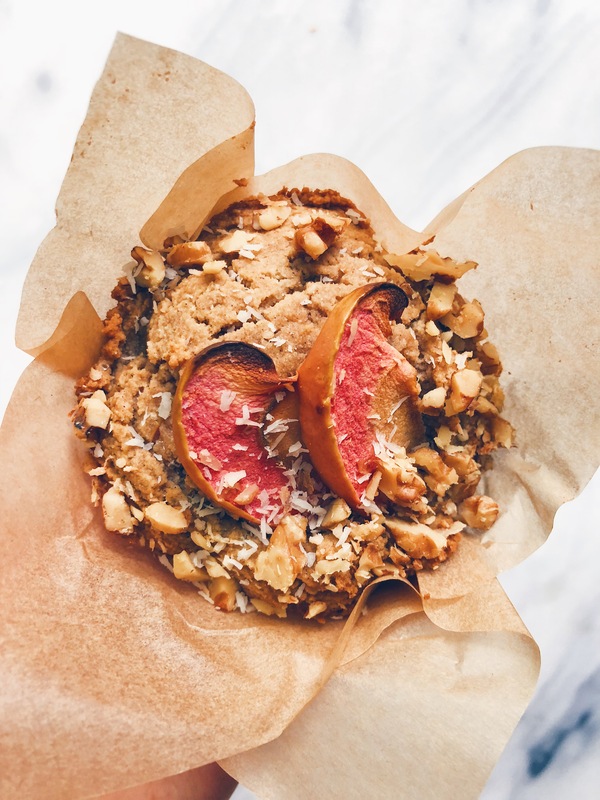 Top with dried coconut chips and slivered almonds. 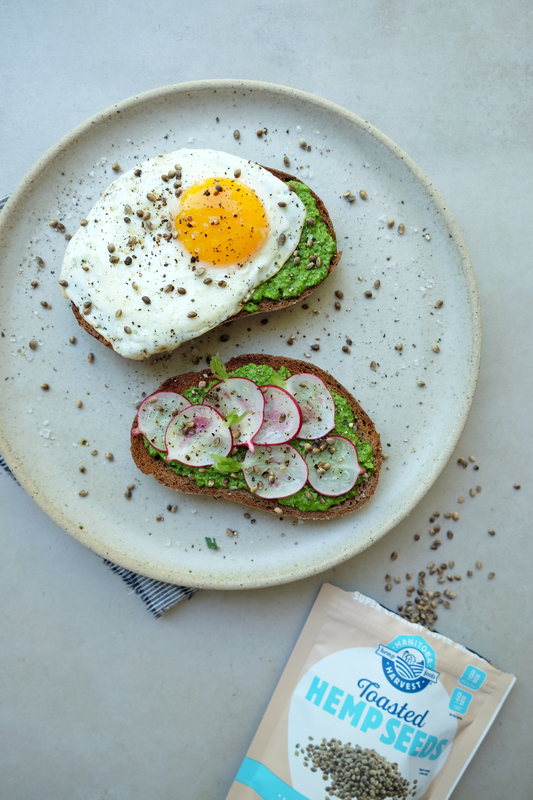 Who doesn’t love avocado toast? It’s definitely a simple go-to breakfast at our haus. I felt inspired to spruce up the basic avocado toast with 4 easy variations. These were made with premade sauces and roasted veggies that I picked up at our local grocery store, New Seasons, but you could definitely make them all on your own. Pack them for an on-the-go lunch during the work week, or weekend trip to the beach or forest. 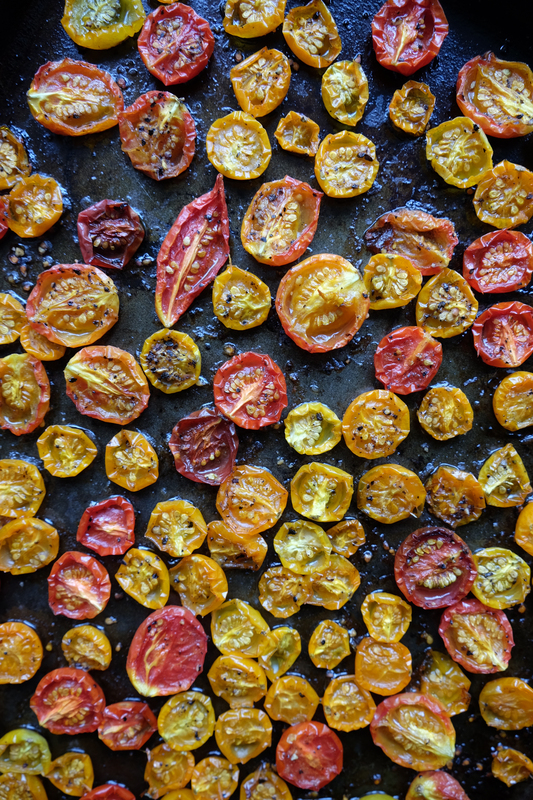 If you’ve never roasted tomatoes, this is a great opportunity to give it a try. New Seasons sells them roasted and soaked in oil at the olive bar, but in the summer I love to roast my own. I will definitely be sharing a more in-depth roasted tomato recipe once tomato season is upon us, so stay tuned! Do you have a favorite toast recipe or combination of toppings? I would love to hear some of your great ideas. 1.) Spread hummus on toasted slices of bread. Top each with thinly sliced cucumbers. Sprinkle with fresh dill, sea salt and juice from a slice of lemon. 1.) Spread smashed avocado on toasted slices of bread. 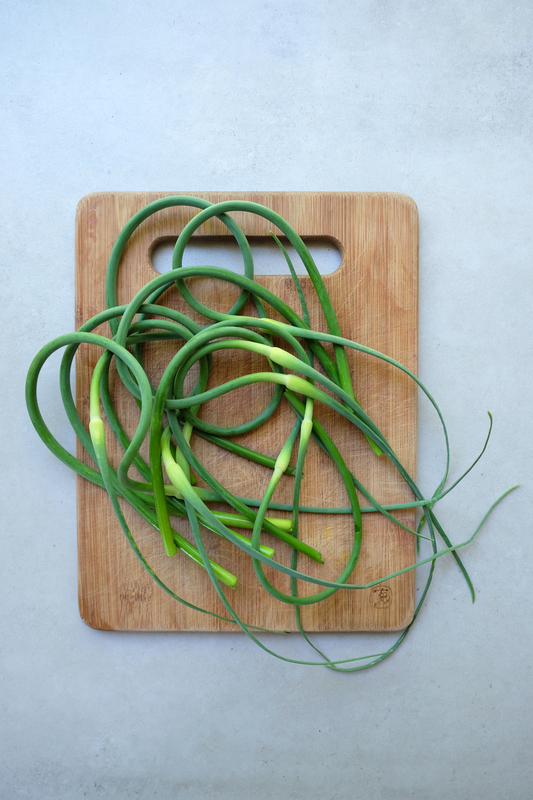 Top each with roasted garlic cloves. 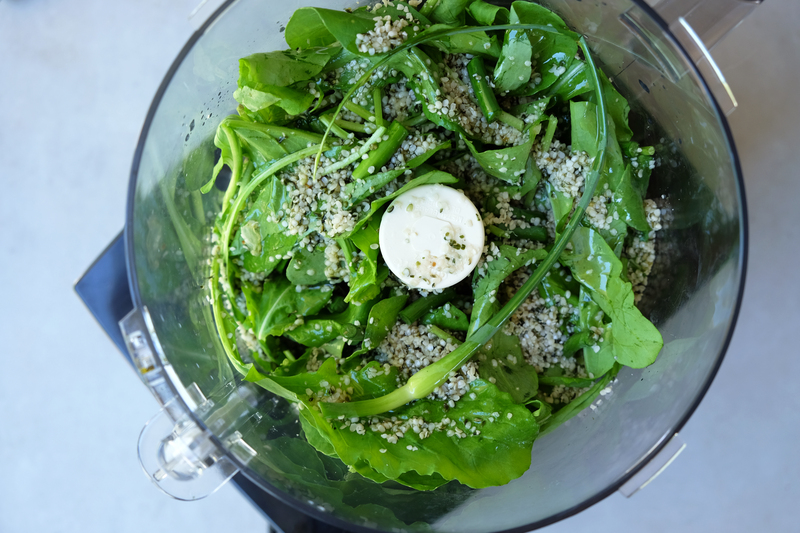 Sprinkle with microgreens, sea salt and freshly ground pepper. 1.) Spread chèvre on toasted slices of bread. 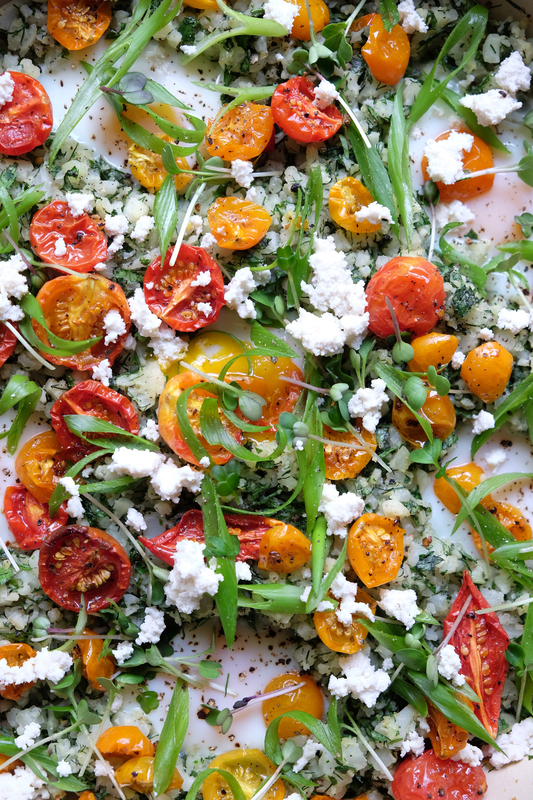 Top each with slices of roasted tomatoes. Sprinkle with mint, sea salt and freshly ground pepper. 1.) Fry eggs in small cast iron pan, one at a time, over medium heat. After about 3 minutes, turn heat off and cover pan with a lid for another couple minutes to finish cooking egg. 2.) Spread pesto on toasted slices of bread. Top each with a fried egg. Sprinkle with salt and pepper, if desired.